multiplied by loaves and fishes. This entry was posted in A Wounded Heart, Aging, Beauty, Christianity, Fragility, Freedom, Identity, Nature, Poetry, Positive Thinking and tagged aging, beauty, free verse poem, life, lines, photography, poem, true beauty, wisdom, wrinkles. Oh so beautiful Melody! Is this one of your lilies? 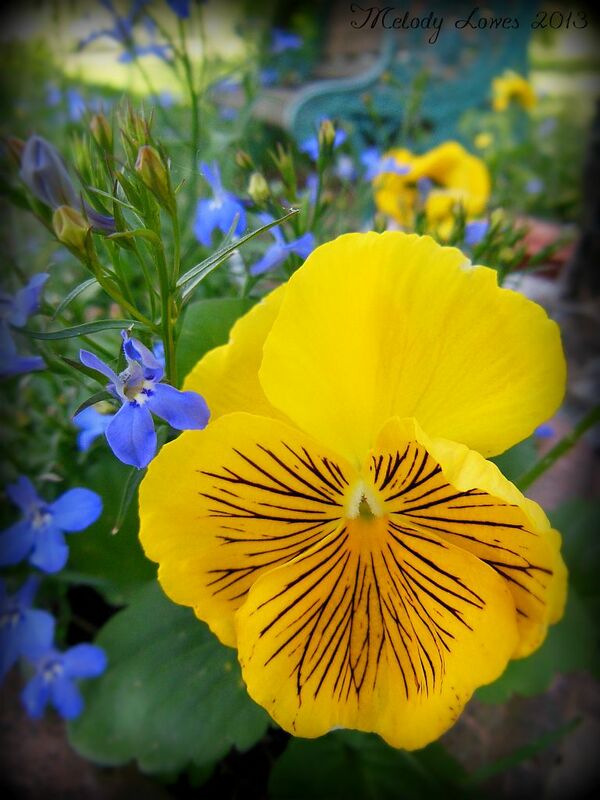 It’s a pansy – a very pretty fellow, with those little lines painted in. Thank you Glenda! I love pansies, that is the flowers! they look so cute, don’t they? Every year seems to be another reminder of those lines. A song I enjoy describes the aging process as the colour of your boots keeps fading. I swear you’re just getting better with this stuff all the time. Nice job. Thanks, Rob. I really REALLY appreciate that. Seriously. They are taking a new kind of shape. I see you growing as a person and a poet simultaneously. What a great word of encouragement! Thanks, Rob! Love the “swallowing emptiness cannot fill canyons”. Appreciate the insights! I will take all the lines that I get & thank God for each day & year given to me. For I know – not all have the chance to see the lines. Rosy, I could hug you right now for those words. We grieve for the loss of another young man in our small community who will not have the chance to have those lines on his face – and I know well that you understand that kind of grief. Your wisdom comes from living in those difficult moments, and rising above them! Love the flower… what kind is it? You probably know this…. You’ve written a beautiful poem. I so love it when someone else makes the blunders – it’s usually ME! 🙂 The flower is a pansy. I love the lines on her face. 🙂 I think it has become my new favorite flower 🙂 I love the lines too. so real….so true….it brings as many smiles as it does the memories of the hurts….awesome work…congratulations on being freshly pressed. Beautiful photo and inspiring writing, thanks for this! What a beautiful combination of lines and colors! I think this would make an awesome paint by number as well. What do you think? 🙂 Maybe that’s what prompted the line about it NOT being a paint by number! Thank you. Perhaps you should try to go back and rediscover paint by numbers, you might like it! Very cool. I can see my students liking that! Thank you Lisa! I’m so glad! Thank you for the invitation, Connie. I will! You’ve captivated the essence of a shallow society. Sorry I’ve been away so long, been ill. Grateful to be back reading and drinking you! Ha! Maybe so – but there is the whole ‘At least I am alive to wear them!’ thing, too… 🙂 Thanks for the grin for my day! What a thoughtful, beautiful poem! I especially loved the line “but swallowing emptiness cannot fill canyons”, very powerful. I enjoyed your very insightful poem, thanks ! Hi Melody. Your poem is wonderful and I love the photo of the pansies and lillies. Is it a photo montage? Nope – just a single shot from a pot I planted. Thanks for your visit and comment! Lines… Check it out, people. Congrats, we’ll done. Your recognition is well deserved. It’s about time you got Freshly Pressed….although there are so many I don’t know how they chose! Inspirational words, Melody. Thank you. I especially love the last line investing the ‘ordinary’ activity of hanging out the laundry with multiple layers of meaning. Nice! Have you come across Leonard Cohen’s song ‘Anthem,’ with the chorus line’ . . . there is a crack in everything, that’s how the light gets in’? Beauty and perfection in our imperfections? Best wishes! Thank you for posting this poem which I really enjoyed! Much better than my reflections on loaves and fishes that I gave on Corpus Christi! This summer my community Of Benedictine sisters) is talking about “transformative aging”. I would love to share your poem Lines with them. You know I’m always a bit behind in my reading 🙂 … congrats on being freshly pressed, Melody! So very beautiful and touching. Thank you!!!! I can’t believe you just made me feel good about my wrinkles!